Our babies require special attention and that’s what they get. It’s important for babies to have consistent care to make sure they feel safe and secure. 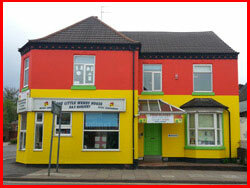 In our baby unit, staff are qualified and experienced. Parents are given a written record of activities their baby has done throughout the day, What they have eaten, when they slept and any other relevant information. Babies are fed according to parents specific instructions, and those being weaned are given freshly liquidised food, unless the commercial prepared foods are preferred. Parents are asked to provide nappies and formula milk. 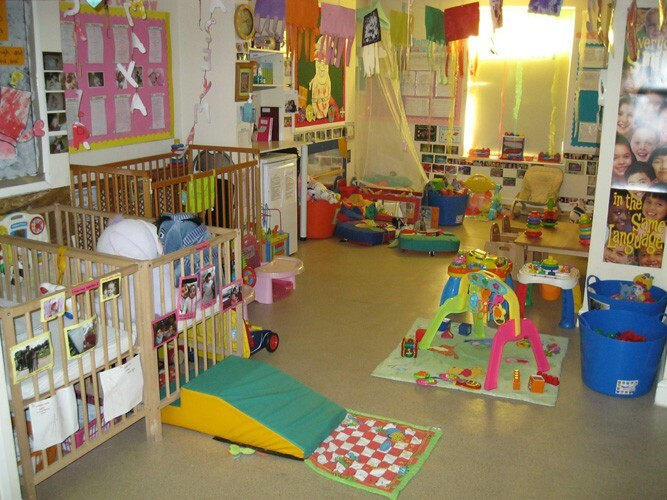 Typical activities in our baby room include large construction toys, music and instruments, painting, sand and water play. 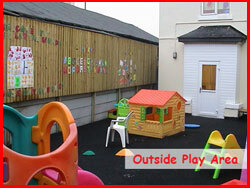 Throughout the day, basic language and communication skills are encouraged, together with lots of love and cuddles. Each individual baby’s individual needs will have priority. Family photos are displayed around the room to help babies recognise and respond to family members. 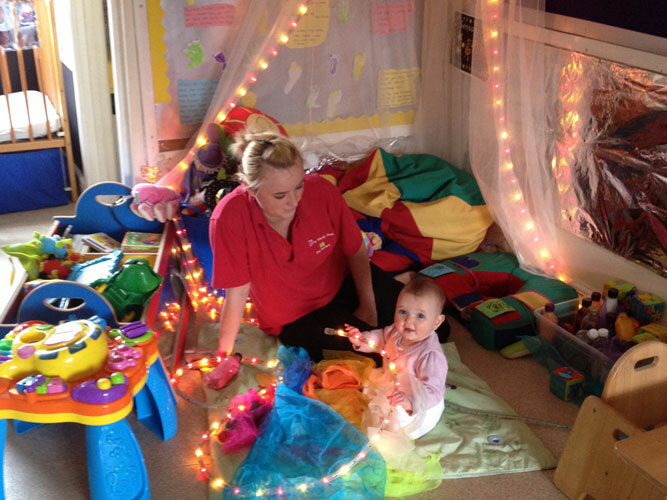 We have a sensory area where babies can touch a variety of materials and watch flashing lights. 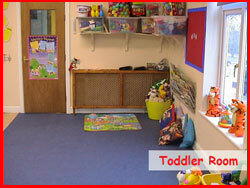 Siblings attending the nursery have regular visits to the baby room and interact with their sibling.